Big cities want to attract citizens — people who live right downtown, not just commute from the suburbs to work. One of the reasons Vancouver is such a vibrant city is because people live in the downtown core. At any time of the day or night you’ll find people going to restaurants, coffee shops, bars, concerts, sporting events, but also walking their dogs, dashing out for grocery shopping, visiting their neighbours. I know lots of large cities where the downtown area becomes a science-fiction dystopian landscape at night, the only cars the occasional police car or delivery van. According to this Houzz article, Mayor Bloomberg is trying to find ways to bring people back into the city to live. And right now, that means getting more apartments into smaller areas. The city states that there are 1.8 million residents who are singles and couples, but only 1 million studio and one-bedroom apartments in all five boroughs. He called for a design competition, and a couple of weeks ago he announced a winner. An exhibition of the entries will be held at the Museum of the City of New York until this September. If you are in the area look it up. Posted in Cities and tagged Lane Home, Lane house, Laneway House, tiny apartment, tiny house, Vancouver. Bookmark the permalink. 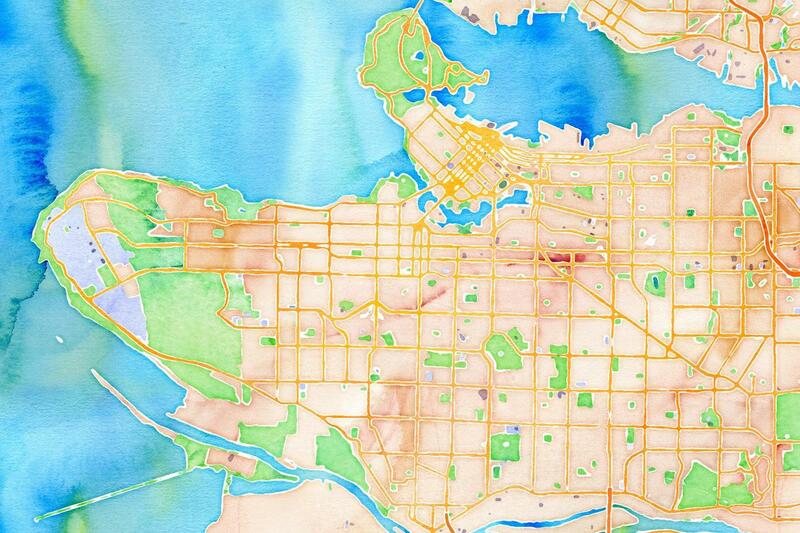 This site lets you make a watercolour of your town’s map. Posted in Cities, Decorating and tagged Decor, Vancouver. Bookmark the permalink. According to this story on Vancouver radio station CKWX, there are a record number of permits for laneway houses approved for this year. The City issued a record 350 laneway housing permits in 2012, a big increase from the yearly average of 146 recorded between 2009 and 2011. It’s not a fad — it’s a movement! Posted in Laneway House and tagged Lane Home, Lane house, Laneway House, Vancouver. Bookmark the permalink. I was visiting a friend in the hospital a few summers ago, and looked out over our neighbourhood. I was amazed to see how lush and green it looks with the large trees lining the streets. The apartment buildings are all 4 storeys or less, and it looked so inviting and friendly. It’s amazing what looking from above can do to help you see the true structure of your area. 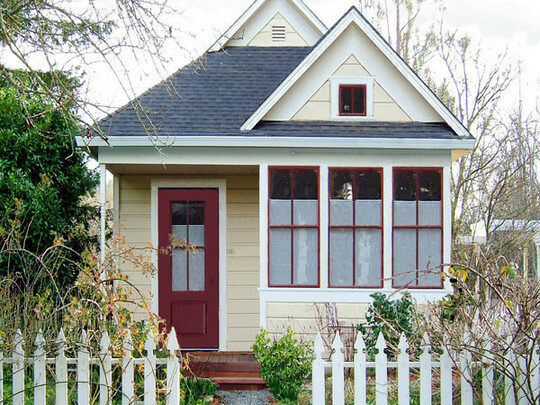 Houzz is showing what different neighbourhoods look like. It’s obvious that some of them were designed by people who would never live there — cut off from shopping and parks. Posted in Cities and tagged Lane Home, Lane house, Laneway House, Neighbourhoods. Bookmark the permalink. It’s now at ladywholivesdownthelane.com, no “wordpress” in the address — I bought the domain. When I first started the blog it was just supposed to be for fun, so my family and friends could check up on the progress of our laneway house project. That was before I became obsessed interested with the whole “living small” movement. Then I had the radio interview and I thought it would be nice to hear from more people — much easier to find me when I’m just the ladywholivesdownthelane. Plus I wanted a way for others who are interested in laneway housing — or actually living in a laneway house — could contact me. I think it would be very nice if we could form a virtual neighbourhood of laneway occupants. And that would mean reaching out to people who left me comments. I found out that, with the wordpress domain blog you have to register to leave a comment, and I know some people are reluctant to do that. I know I am. So, in order to be more inclusive, it would be better to have my own domain. So here it is! Expect a few more changes — some links to other sites I think you’ll find interesting, etc. I’m just starting to explore the capacity of the new arrangement. *By the way, the correct answer to “Notice anything different?” is always “Have you lost weight?”. Always.